At 16:27hrs Truck 21 was sent to 3001 Dove Country for the reported vehicle fire in the apartment complex. 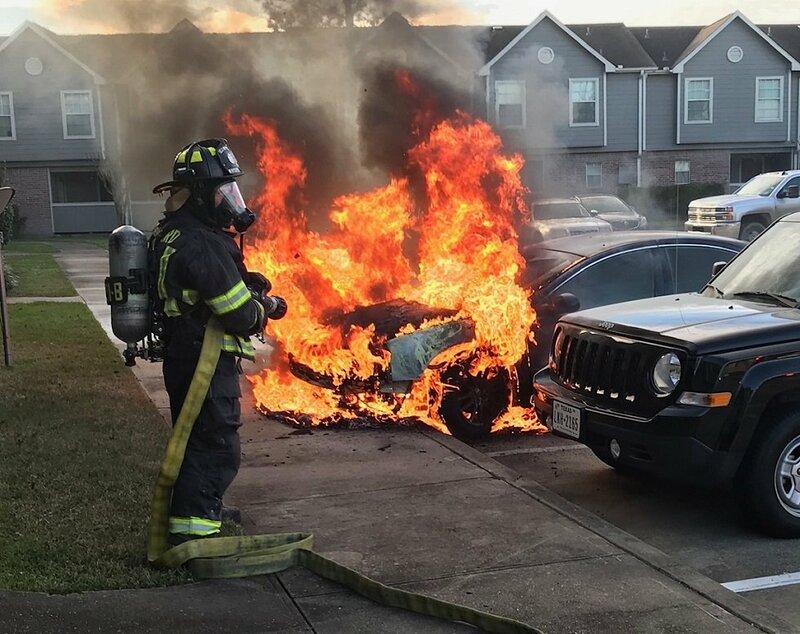 Upon arrival a 4-door car was reported with fire from the engine compartment. Using the front bumper Class A hand line the fire was quickly knocked down. Upon completion of assignments, and arrival of the FBCFMO investigator, all units returned to service.